At this point there's seemingly not much that we don't know about the Galaxy S10 range, but a comprehensive specs leak may have filled in a few gaps - though it's also at odds with things we've heard before. "For the smaller Galaxy S10e, the device gets a smaller 5.8" display that pushes a Full HD+ resolution. While this rumour came from SamMobile, the publication has since taken down its leak. According to Samsung's official French website, the handset will indeed be called Galaxy S10e with a lowercase "e". This shouldn't come as a surprise, seeing that the S10+ may come with a dual selfie camera housed in a pill shaped cutout display. The manufacturer has put up a page to let you reserve the "next Galaxy", on which it explicitly says it "know [s] you know what is coming soon", without sharing any details on the handsets themselves, besides the previously published teaser of a potential folding phone. 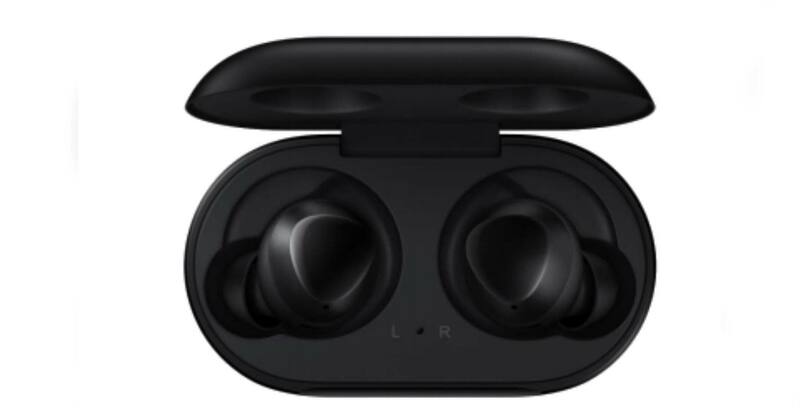 New information about Samsung's upcoming Galaxy Buds Bluetooth earbuds has surfaced online. Both the Galaxy S10 and S10+ are getting a triple-camera setup. For the Galaxy S10e, it will get a side-mounted fingerprint sensor which doubles up as a power button. As per GSMArena's report, Samsung Galaxy S10+ will have 4100 mAh battery, Galaxy S10 will have 3400 mAh battery and Galaxy S10 Lite will have a 3100 mAh battery. For the Galaxy S10e, it comes with an additional Canary Yellow option, while the 12GB RAM Galaxy S10+ is offered only in Luxurious Ceramic Black and Ceramic White. As for as Galaxy S10 and S10 Lite are concerned, they will have two storage variants of 6GB RAM, 128 GB internal storage and 8GB RAM with 256 GB internal storage. For specific markets like the US, Samsung will be utilising Qualcomm's latest Snapdragon 855. The Galaxy S10 5G and Galaxy S10 Bolt will be 5G ready with quad-cameras at the back. Both could have a bigger 6.7-inch display as well.